Denis Matsuev in Heydar Aliyev Palace buy tickets online. Delivery of tickets for the event Denis Matsuev. 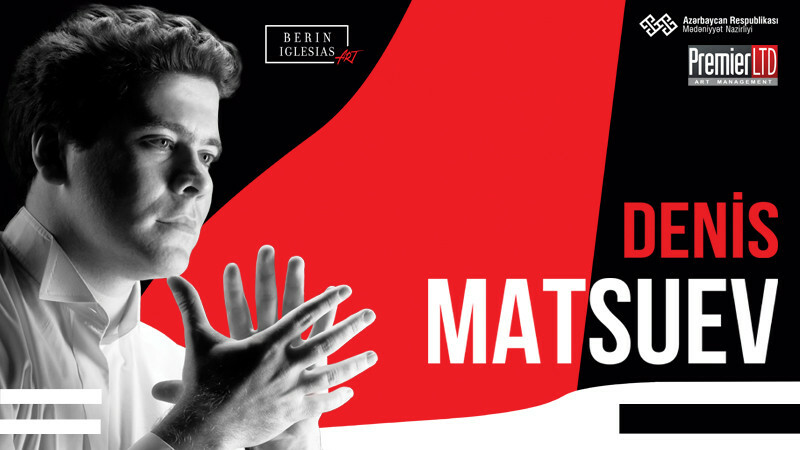 Denis Matsuev's name is inextricably linked with the traditions of the legendary Russian piano schools, consistent quality of concert programs, innovation of creative concepts and deep artistic interpretations. He is rightly called one of the most outstanding pianists of our time. The rapid rise of the musician began in 1998 after his victory in the XI International Competition. P.I. Tchaikovsky in Moscow. Today Denis Matsuev - desired guest of the best concert halls in the world, an indispensable participant of the largest music festivals, a permanent partner of leading symphony orchestras of Russia, Europe, North America and Asian countries. The London Philharmonic Orchestra, the Royal Scottish National Orchestra, and also the orchestra of the theater La Scala, the Vienna Symphony, the Rotterdam Philharmonic,Budapest Verbier Festival Orchestra. All these testifie to the high rating of a pianist in the circles of the world musicalelite. The triumphal performance of a pianist with a solo program took place at Carnegie Hall. in New York in November 2007 And in September 2008, Sony Music was released album The disc “Concerts for piano and orchestra of Tchaikovsky No. 1 and No. 2” was recognized "Album of the Month" by the most authoritative English magazine Gramophone in April 2014 of the year.